Criteria/Selection Process: The selection process will focus strongly on the nominee who exhibits true dedication and embodies all the characteristics and morals of 4-H: A well-rounded person who strives to make the community a better place through example and leadership. We feel that this reflects the lifelong commitment Candace made to our program and will encourage youth to continue striving for major accomplishments through setting and achieving goals. 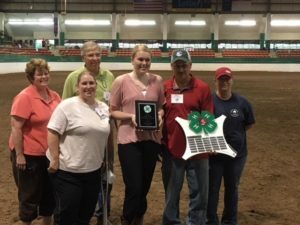 Candace was a role model for so many 4-H participants, adult volunteers, and associates, and the future of our program is dependent on more people being likewise dedicated. This award is displayed at the Hunt Horse Complex (NC State Fairgrounds in Raleigh), where Candace spent a countless number of hours over the years working in the show office. 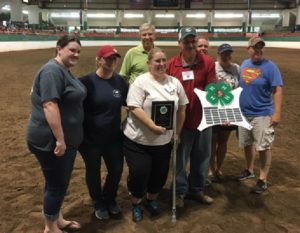 The 2018 winners will be announced on July 7, during the evening classes, at the North Carolina State 4-H Horse Show in Raleigh.